UPDATE: According to reports, emergency response personnel have not been able to remove the driver from the overturned tractor trailer. The N.C. D.O.T. is advising motorists to avoid I-85 northbound in Gaston County if possible. As of 3 p.m., traffic was backed up approximately 12 miles. The closure could last until 6 p.m.
Traffic is being detoured off the highway at Exit 26 (Belmont-Mount Holly Road). Vehicles are being directed to turn left at the top of the ramp, then right at the intersection with Main Street. At the next light, vehicles should turn left onto U.S. 29 North/U.S. 74 East (Wilkinson Boulevard). Follow that to I-485 Inner Loop, which will get motorists back to I-85 North at Exit 30. 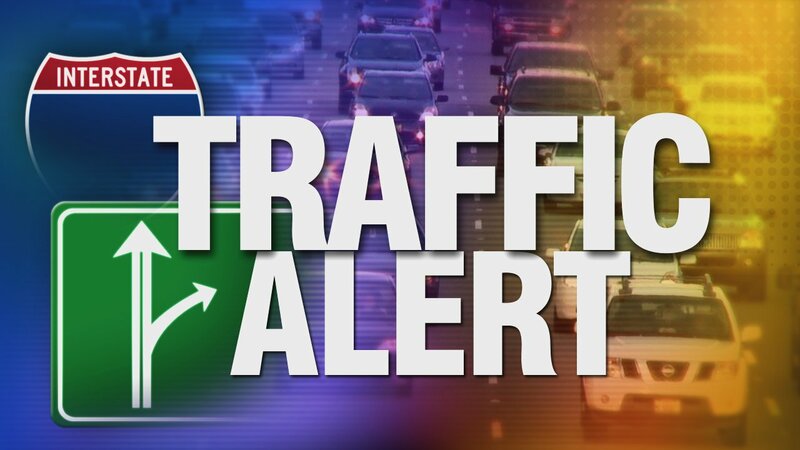 BELMONT, N.C. — A tractor trailer accident on I-85 near Belmont has three northbound lanes closed. The accident happened around 1:30pm just before exit 27. Officials say they don’t expect to have the wreck cleaned up until 5:30pm. Take US-74 East (Franklin/Wilkinson Blvd) as an alternate route. There is no word on the condition of the driver.